Sheffield United defender Tony McMahon is hopeful they will start to make progress once they can make consistent team selections. The Blades are unbeaten in League One this season but have drawn five of their eight games to sit in sixth. The 26-year-old told BBC Radio Sheffield: "We haven't had a settled 11 yet and we've got a lot of new players. McMahon made his professional debut for Middlesbrough at Old Trafford in October 2004. Stewart Downing gave Boro a first-half lead but Manchester United levelled late on through Alan Smith. "It takes time to gel but we can't be too critical because we haven't lost a game and we've got nothing to fear." He added: "I think we've been the best team in every game we've played and if we're near the top of the table come April then everyone will be happy. "We've got some difficult games coming up and we'll lose some, we know that, but the aim is promotion." The Bramall Lane side have recently been missing skipper Michael Doyle and winger Ryan Flynn, who have been serving three-match suspensions, while midfielders Stephen Quinn and Nick Montgomery both moved on in the transfer window. 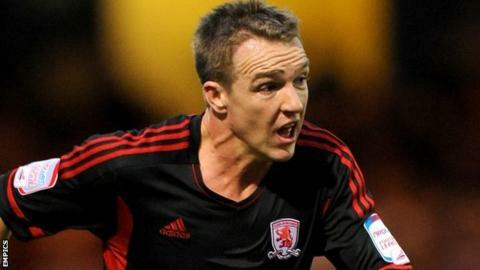 McMahon, a summer recruit from Middlesbrough, has been pleased with his own start to life in League One. "It's a tough league and we've come up against some good players," he continued. "I've really enjoyed myself and I'm pleased to be playing every week. I'm looking forward to what the season brings."